You could be forgiven for feeling that last season was a missed opportunity for Tottenham Hotspur. With the league’s established elite faltering, and lowly Leicester City being the team to beat, it felt like this really could be the year for Spurs to claim their first league title since 1961. A lot of the club’s fans had never seen a Tottenham side like this; powerful and relentless yet still retaining a penchant for the spectacular. That the ultimate prize seemed so tangible made the ultimate end of season collapse even harder to bear, that 5-1 final day defeat reminding fans who it is they really support. Once again, we finished below Them and the club was a laughing stock. It’s the hope that kills you. With the sides around us strengthening, bringing in top managers and spending obscene amounts of money, it would have not a been a pleasant summer for the more pessimistic supporters. How could the Lilywhites compete? This after all, is a club that spends modestly and that last season failed to beat AVB’s points total. A lot of the club’s fans had never seen a Tottenham side like this; powerful and relentless yet still retaining a penchant for the spectacular. The reality however, is far different. Tottenham now have a squad full of top quality, led by a strong, proven manager and there is no reason to suggest they won’t once again be reaching the higher echelons of the division. In goal, there is a genuinely world class keeper in Lloris. In front of him, last year’s best centre-back partnership (save for the Newcastle mauling) lead by Alderweireld, the best defender White Hart Lane has seen since Ledley King and possibly, although mention it only in hushed tones, longer than that. At full-back, the transformation since Pochettino arrived at the club has been remarkable, justifiably earning him the nickname “the full back whisperer” in some quarters. Kyle Walker and Danny Rose, driven on by their capable understudies, have improved immeasurably and are now both starters for their country. There is yet more room for optimism in midfield. Eric Dier is now one of the most accomplished holding players in the country (imagine that a year ago) and Dembele was last year named the best box-to-box midfielder in Europe by the CIES Footballing Observatory. His trademark feint to the right then move to the left is one of the most glorious sights in football. Everyone knows exactly what is about to happen but no one can stop him. The addition of Wanyama provides much needed cover in the steel department. Behind the striker is perhaps the position where Spurs lack world-class talent in comparison to their rivals, but in the young, hungry trio of Eriksen, Alli and Lamela, there is plenty of potential to be excited about. The former was third for chances created last season, whilst his pressing is very underrated. Lamela is finally every bit a 30 million pound player and Alli is now the poster boy for young English footballers. Up front Kane, “One of our own,” to the faithful, last season became only the 5th Englishman to score 20 goals in consecutive Premier League seasons. He is not going to start getting worse. In new signing Janssen, Spurs have a player who has already shown he has the tools to deal with the physical rigour of the English game. Add in academy talents Edwards, Winks, Onomah and Walker-Peters potentially making breakthroughs and it is hard to see where the weak links are in this team. Much was made of how Pochettino made his players stay out on the pitch after their Carling Cup final defeat to Chelsea in 2014/45, and how it galvanised them into becoming more. Think then what last year’s disappointments will do for them. The youngest team in the league, brimming with class, a year older and a year wiser, chomping at the bit to prove their worth. Logic suggests they will continue to improve. 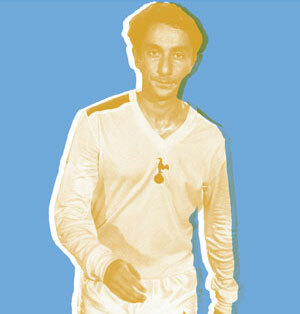 The media may write Spurs off, ignoring them in favour of more glamorous stories. One suspects the club’s staff may prefer it that way. 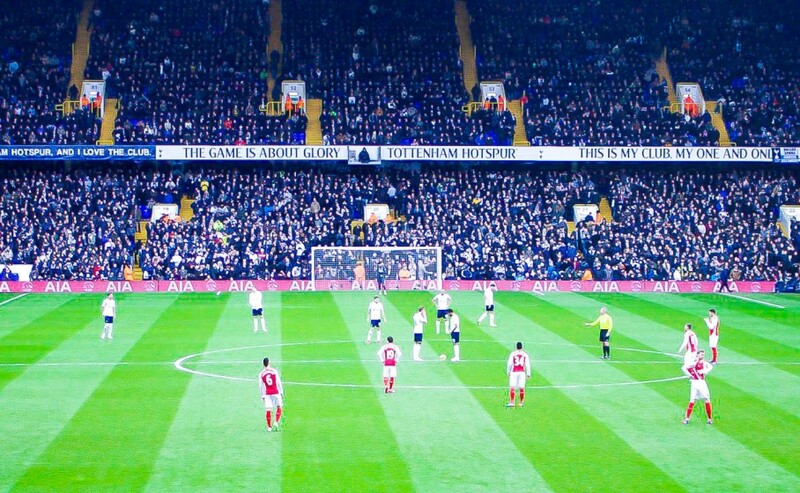 But make no mistake, Tottenham Hotspur are going nowhere. That final paragraph could really do wit immediate editing, otherwise the impression it gives will have a strong element of comedy about it which I am forced to assume wasn’t intentional. While the media may be right some must be left???? Very positive and optimistic post. Wit indeed? With of course. Edit my last post. At my wits end…………!